A new study has shed light on the possible link between men who consume high amounts of tree nuts and the decreased risk of prostate cancer death. The study, “Nut consumption and prostate cancer risk and mortality,” was published this month in the British Journal of Cancer. A growing field of research has analyzed the benefits of nut consumption on health in recent decades. However, prior to conducting this study, researchers noted that there was little knowledge available about the connection to prostate cancer incidence and survivorship. Past epidemiological studies have indicated a relationship between individuals who consume nuts and a reduced risk of chronic conditions such as heart disease and type 2 diabetes, reported Prostate Cancer News Today. Seeking to address whether or not the same condition that leads to type 2 diabetes – insulin resistance – may lead to the progression or risk of prostate cancer, study authors of the Chan School of Public Health and the Brigham and Women’s Hospital in Boston sought to identify a potential link by analyzing existing material. The study, funded by the International Tree Nut Council, investigated data from a large prospective cohort study of 47,299 male participants – “Health Professionals Follow-Up Study” – established in 1986, according to a press release. Those taking part in the study answered an initial “semi-quantitative food frequency questionnaire” which evaluated the consumption of a variety of foods including nuts. Every four years, this survey was completed again by participants. Tree nut consumption has been linked to a lower risk of prostate cancer mortality. Though the consumption of nuts was not linked to an increase or decrease in prostate cancer diagnosis, it was found to be correlated to a lower risk of mortality among non-metastatic prostate cancer patients, according to Prostate Cancer News Today. In fact, male patients who consumed tree nuts such as pecans, pine nuts, pistachios, almonds, Brazil nuts, cashews, hazelnuts, walnuts or pecans five or more times each week were found to have a 34 percent less chance of dying from the disease. This was compared to patients who ate nuts less than once a month. In the 26-year period since the study was established, 6,810 of the participants were diagnosed with the disease. Of those men, 4,346 of them had non-metastatic prostate cancer. Non-metastatic means that the cancer is confined to the site of origin, noted the National Cancer Institute. For those with prostate cancer, the disease is localized and has not spread to other organs except for the seminal vesicles. “This is important since more men live with prostate cancer than die from it,” lead researcher Dr. Ying Bao, ScD said in the press release. The American Cancer Society reported that most men diagnosed with the disease do not die from it. Though it is the second leading cause of cancer-related death among U.S. men, only 1 in 39 will die from it. The source noted that today, there are 2.9 million men across the country still living with prostate cancer. Of the 4,346 men from the study diagnosed with non-metastatic prostate cancer, just 10 percent died as a direct result of the disease. Research has frequently indicated the numerous health benefits of consuming tree nuts as part of a healthy diet. Peanuts and tree nuts are extremely nutrient dense, packed with several essential vitamins and minerals. A study titled “Health Benefits of Nut Consumption,” published in the journal Nutrients reported that tree nuts contain fiber, phytosterols, phenolic compounds, tocopherols and high-quality vegetable protein. Found to improve heart health and even aid in weight loss, nuts are increasingly linked to lowered risk of many health conditions. 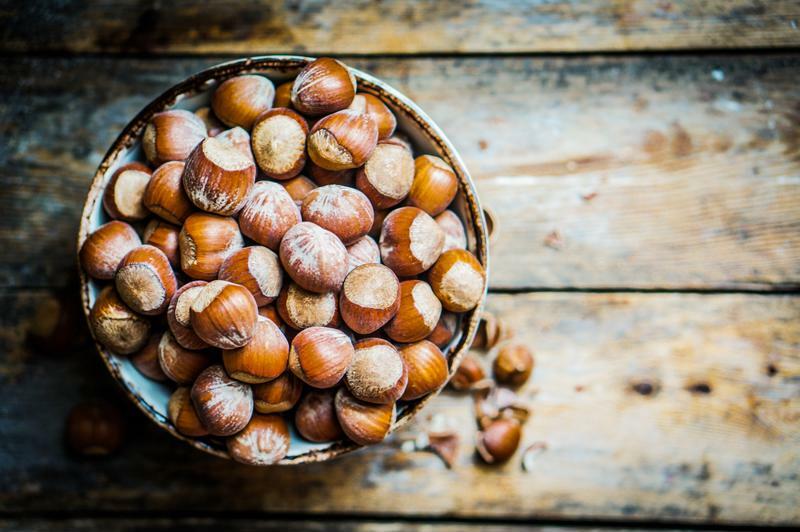 One of the more notable benefits of tree nuts, as they relate to prostate cancer, is their ability to improve insulin sensitivity, according to the study. As noted in the aforementioned text, increased research implies that the condition when the body’s cells become resistant to the hormone insulin – insulin resistance – is associated with the risk and progression of prostate cancer. Study authors indicate that just 1/3 cup of nuts each day can make a big difference in one’s health. “These findings add to the growing body of evidence showing that nuts can and should be part of a healthy diet,” Maureen Ternus, M.S., R.D., executive director of the International Tree Nut Council Nutrition Research & Education Foundation said in the press release.